The Grand Isle County Sheriffs Department Marine Division aims to protect everyone enjoying the 122 sq. miles that Lake Champlain has to offer. 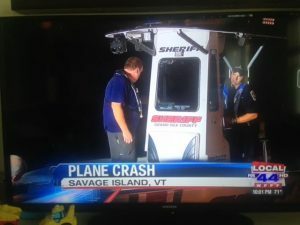 The Marine Division was started in 2012 with the cooperating efforts of the Vermont State Police to bring Marine 12 to the Sheriff’s Department; since then the Marine Division has expanded to include Marine 11. 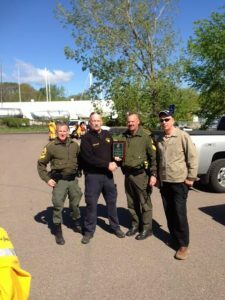 All Vessel in Distress and Search and Rescue calls are taken on in a cooperating effort between the Grand Isle County Sheriffs Department, Vermont State Police, Coast Guard, and Fire Agencies in the county, including mutual aid agreements with neighboring jurisdictions. Marine 12 was the first vessel in the Grand Isle County Sheriff’s Marine 12 was the firsMarine 12 was the first vessel in the Grand Isle County Sheriff’s Department Marine Division. Marine 12 is an 18ft single engine Triton shallow water boat equipped with radar and SA lights and used for recreational boat safety and Search & Rescue. Marine 11 is our 24ft Hike equipped with a FLIR thermal imaging camera, dive doors and a working platform for water rescue and take-off landings for both of our UAV’s to aid in areal searches. Marine 11 is also outfitted to aid in recreational boat safety and Search & Rescue. Recreational Boating Safety is a huge part of the Sheriff’s Department Marine Division made possible by a Coast Guard funded grant which offsets the costs for man hours, fuel, and equipment used during a marine patrol. 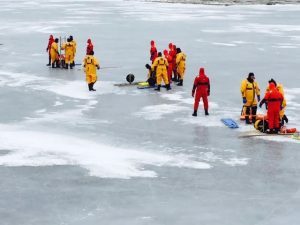 Designed for public safety on the waters of Lake Champlain, recreational boating safety covers properly working equipment on vessels, personal floatation devices and to ensure safe boat operation. For more information on boating safety and regulations, check out the VT Boating Law and Responsibilities Handbook . A properly registered vessel will have three pieces of paperwork; a Certificate of Registration, Validation Sticker and a Title. To obtain an application for boat registration, click the link below to download “Motorboat Application’ form VD-037. 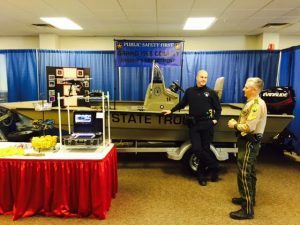 All persons born after January 1st, 1974 must complete the Vermont State Police Boating Safety Education course to legally operate a motorized vessel. Certification is offered both in person and online. To take the course in person, visit Boat Vermont Classroom Course and register with the closest location. If you cannot make any of the course sessions or prefer to become certified online visit Boat Vermont Online Course, create an account and get certified! Be sure to check out the VT Boating Laws and Responsibilities Handbook for more information.